Cruising to Cuba has undergone great changes in just a few years. American cruise ships, which began visiting the Caribbean's largest island in 2016, keep adding more and more sailings, as regulations fall away. Cruise lines with a longer-running stake in the Caribbean nation are continuing to develop new and more immersive itineraries in Cuba, due to interest. Currently, the only thing stopping a U.S. mainstream cruise line from visiting Cuba is the country itself; there are no U.S. government regulations forbidding cruise ships from going, thanks to measures taken by the Obama administration. Although the Trump administration is tightening up individual travel, Cuba continues to approve cruise line sailings throughout 2018 and into 2019. Below, we take a look at the cruising options in Cuba, so you can decide what's best for you. What It Is: Azamara Club Cruises, the destination-immersive cruise line from Royal Caribbean Cruises Ltd., made its first sailing to Cuba on the March 21, 2017 departure of 694-passenger Azamara Quest, and continues to explore the country with 21 short and long sailings on both Azamara Quest and Azamara Journey throughout 2018 and 2019. Itinerary: Given its reputation for destination immersion, Azamara offers four-night getaways to Havana from Miami on Journey, but excels with its in-depth explorations of Cuba over nine to 15 nights. A number of Cuba-intensive cruises include Cienfuegos and Santiago de Cuba. To change it up, visit Havana on a Panama Canal/Central America cruise or a voyage that calls on Portugal and Bermuda as well as Cuba. American Friendly? Yes. 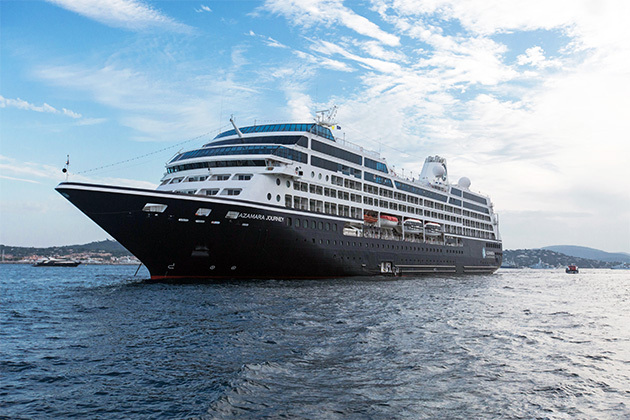 Both Azamara ships comply with people-to-people regulations through for-fee shore excursions. Who Will Like It: Fans of smaller ships that want an in-depth look at Cuba. What It Is: After entering Cuba early with Fathom, Carnival Corp. arrived at the island in June 2017 with Carnival Paradise. At 2,052 passengers, the ship became the largest vessel sailing into Cuba. Paradise will be replaced as the largest ship to call on Havana when Carnival Sunshine arrives in November 2019, sailing the first-ever Cuba cruises from Charleston. The line is also marking the first Cuba cruises from Norfolk, in 2020, along with the line's first Cuba cruises from New York in May 2020. Carnival has announced more than 100 sailings will call on Cuba from seven ports through the 2019/2020 season; the most homeports setting sail for Cuba than any other cruise line. Itinerary: Carnival Paradise sails to Havana (from Tampa) with some itineraries featuring Key West. Carnival Sensation (from Miami) will offer Havana in conjunction with Nassau and Freeport; Victory, also from Miami, will sail a short itinerary featuring Havana in November 2019. Triumph (soon to be Sunrise) will sail the line's first voyages to Cuba from New York City, spanning nine nights and including an overnight call in Havana with stops in Half Moon Cay and Nassau. Sunshine will sail nine cruises from Charleston to Havana -- most with Freeport -- from late 2019 through April 2020.Carnival Radiance (formerly Victory) will sail a weeklong cruise to Cuba from Norfolk in summer 2020, before repositioning to Port Canaveral, where it will offer a winter season of six- to eight-night Caribbean and Cuba cruises beginning November 8, 2020. These sailings include six-night Cuba cruises with overnights in Havana. What It Is: A Canadian tour operator known for adventure, G Adventures offers several types of trips to Cuba, including sailing cruises on a 16-passenger catamaran to several off-the-beaten path islands. Itinerary: The marine tour begins with several days in Havana before transferring passengers to Cienfuegos. There, people board the ship for a week visiting the Canarreos Archipelago, with nothing more on the agenda than snorkeling, sailing, kayaking, fishing and other water sports. American Friendly? The company says that Americans can come if they can procure their own visas. The program is not compatible with people-to-people, however, so it's pretty unlikely many from the U.S. can go. What It Is: Receiving permission to cruise in December 2017, Holland America is the most recent mainstream cruise line to gain access to Cuba. The line has dedicated its 1,350-passenger ship Veendam for all Cuba sailings -- about a dozen on the schedule for 2018, with more for 2019. The unique thing about Holland America's Cuba offerings is that the line is sailing select dates during the summer -- something not many other cruise lines are doing. Itinerary: Veendam is currently sailing three different itineraries: Authentic Cuba departs Fort Lauderdale for a week cruising the Western Caribbean with an overnight call in Havana and a few dates also include Cienfuegos; Cuban Explorer is a longer voyage consisting of 10, 11, 12 or 21 nights, departing from Fort Lauderdale and calling on Cienfuegos, with some overnighting in Havana; and the summertime Cuba cruises depart from Boston or Montreal in June and July, overnighting in Havana with a stop in Cienfuegos on two- and three-week Caribbean cruises. American Friendly? Yes. You won't have a problem cruising and complying with people-to-people regulations as an American onboard. Who Will Like It: Couples and families with time to cruise who want to see Cuba as part of a larger Caribbean itinerary. Who Won't: Someone looking for a more intimate and immersive Cuba experience. What It Is: A tour operator that has been running trips in Cuba since 2000, Insight Cuba charters two ships. Victory I, a 202-passenger vessel, sails on 15-night trips that leave round trip from Miami and an 11-night cruise chartered aboard Pearl Mist round trip from Fort Lauderdale. Itinerary: Victory I calls on Santiago de Cuba, Trinidad, Cienfuegos, Maria la Gorda and Havana, with overnights in every port except Maria la Gorda. Pearl Mist sails to stops in all of the same Cuba ports as Victory, but replaces Maria la Gorda with Casilda and El Cobre. American Friendly? Yes. Insight Cuba has operated people-to-people land tours in Cuba before, and the sailings are natural extensions of the program. Itinerary: IE's nine-night trips depart from Miami on chartered flights to Cienfuegos, in Cuba's interior. Stops include Bay of Pigs, Cienfuegos, Trinidad, Isla de la Juventud, Maria la Gorda and Vinales Valley before ending on an overnight in Havana. American Friendly? Yes. This type of trip is the definition of people-to-people, with lots of educational opportunities. Who Will Like It: Travelers who want to combine a cruise to Cuba with time on land, and also don't mind sailing on such a small ship. Also solo travelers as there is no single supplement. Itinerary: Marella Discovery II includes an overnight in Havana as part of its Cuban Fusion cruise; it visits several times a season. It does not call at any other Cuban port. What It Is: Due to increased demand, the Mediterranean line MSC Cruises has homeported two cruise ships in Havana. MSC Opera carries 2,120 passengers and has been in Cuba since 2015. MSC Armonia, a ship that carries 2,000 passengers, began Havana sailings in 2016. Itinerary: Both ships spend several days in Havana before sailing to other Caribbean islands. In December 2018, Armonia will begin sailing weeklong cruise to Cuba departing from Miami. Other ports on the itinerary, running through March 2019, include Montego Bay, Cozumel and the Cayman Islands, with an overnight in Havana. American Friendly? Beginning with the new Armonia sailings from Miami, Cuba will be open to Americans onboard MSC Cruises, following people-to-people requirements. On MSC Opera the company offers a wide range of shore excursions, including beach days and snorkeling without people-to-people requirements. Who Will Like It: Travelers who enjoy big-ship amenities and are content with just visiting Havana. Itinerary: Noble Caledonia has only one departure to Cuba a year, but the line operates a true circumnavigation of the island, calling at 10 ports over two weeks. Calls include Havana, Maria la Gorda, Varadero, Isla de la Juventud, Cayo Guillermo, Cienfuegos, Antilla/Gibara, Casilda, Cayo Largo and Santiago de Cuba. What It Is: Norwegian Sky, the line's popular alcohol-inclusive ship, has been cruising to Cuba since May 2017; Norwegian Sun, also alcohol-inclusive, began offering Cuba cruises one year later in May 2018. 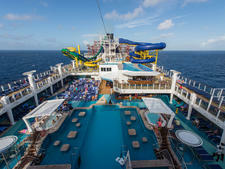 Like Royal Caribbean and Carnival, Norwegian Sky and Norwegian Sun offer shorter itineraries. Itinerary: Both ships' itineraries include an overnight in Havana, and three- and four-night Cuba cruises will be available throughout the year. Other ports of call might include Great Stirrup Cay or Key West. Sky sails from Miami while Sun cruises from Port Canaveral in Orlando. American Friendly? Yes. Norwegian Sky and Norwegian Sun comply with people-to-people regulations. Who Will Like It: Passengers who want a quick look at Cuba in a lively big-ship atmosphere with included drinks. What It Is: Oceania Cruises became the first cruise line from Norwegian Cruise Line Holdings to sail to Cuba in March 2017, with the 1,250-passenger ship Marina. In 2018, the line has deployed three ships making calls on Havana: Regatta, Sirena and Insignia. In 2019, Oceania adds two Cuba sailings on Riviera. Itinerary: Most of Oceania Cruises' Cuba itineraries -- and there are dozens -- depart from Miami, but the other ports can vary. A 10-night Tropical Rhythms sailing spends an overnight in Havana, with calls on Santiago de Cuba and Cienfuegos as well as Cozumel and Great Stirrup Cay. Multiple itineraries feature all three Cuban cities. Havana is also included in Western Caribbean itineraries and a 24-night Panama Canal transit beginning in Honolulu. American Friendly? Yes. All Oceania ships will comply with people-to-people regulations. Who Won't: People who are looking for a party-hearty experience. What It Is: Operated by Pearl Seas Cruises, which began selling Cuba Cultural Voyages long before receiving permission, Pearl Mist is a 200-passenger ship offering a packed program of stops on the island. (Sailings actually began in January 2017.) A sister company to American Cruise Lines, Pearl Seas generally attracts a similar (i.e., older) clientele, with a slightly more luxury bent (and prices to match). Itinerary: Passengers board in Fort Lauderdale for an 11-night cruise that has an overnight in Havana, as well as stops in Cienfuegos, Trinidad, El Cobre, Casilda and Santiago de Cuba. Sailings mainly run late November through March. American Friendly? Yes. Pearl Mist's program follows people-to-people regulations. Who Will Like It: Older passengers who still have the stamina for in-depth touring; there are way more ports than sea days. Who Won't: Passengers who like leisurely cruises with lots of downtime, and budget travelers. What It Is: The French line Ponant began sailing Cuban itineraries in March 2017 on its 64-passenger three-masted schooner, Le Ponant. Besides the usual stops, Ponant has a few smaller ports on its itinerary, which might give passengers a better taste of the island overall. Itinerary: Ponant's trips begin with a flight to Havana. From there, passengers board the ship and sail to Cienfuegos and Casilda (base for a trip to Trinidad), before ending in Santiago de Cuba. American Friendly? Yes. Ponant has activities that meet U.S. people-to-people requirements. 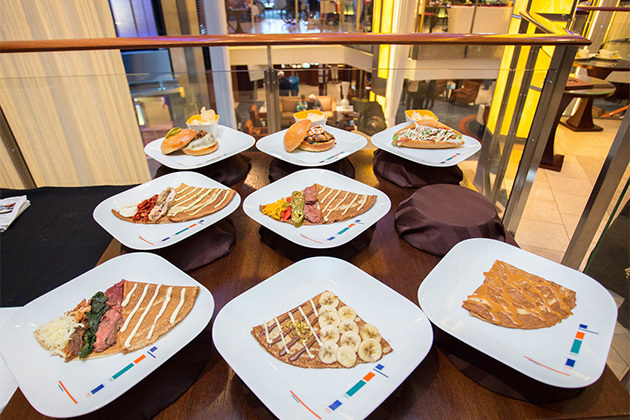 What It Is: Luxury line Regent Seven Seas became the first North American luxury line to sail to Cuba on the 700-passenger Seven Seas Mariner in April 2017. Mariner along with Voyager and Navigator all include calls on Havana for the 2018/2019 season, and the Cuban capital is also listed on a spring 2020 voyage of Seven Seas Navigator. Excursions such as a Cuban art tour, a rum and cigar excursion, a Hemingway tour or a meal at Havana's first farm-to-table restaurant with a choice of evening performances of the Buena Vista Social Club, Cafe Taberna or a Parisian cabaret show at the Hotel Nacional, are included in your cruise fare. Itinerary: Four Regent cruises include a call on Havana in 2018, and three for 2019. A more immersive Cuba itinerary debuts in October 2019 onboard Seven Seas Mariner, calling on Cienfuegos and Santiago de Cuba in addition to Havana. American Friendly? Yes. All three Regent ships in Cuba comply with people-to-people regulations. What It Is: Royal Caribbean earmarked 1,602-passenger Empress of the Seas for Cuba travel, when its first Cuba cruise departed on April 19, 2017. Empress became be the first true "mainstream" cruise ship to sail to Cuba from Miami, and is also the first to offer cruises to the island that are shorter than a week. Since then, the line has added select Florida departures of Majesty of the Seas that will sail four-night voyages to Havana in 2019. Itinerary: Empress cruises four- or five-night sailings from Miami to Havana plus Cozumel, Key West or CocoCay. Empress will also sail seven- and eight-night cruises that stop in Santiago de Cuba and Cienfuegos, in 2019. So far, Majesty of the Seas is scheduled to cruise from Tampa and Fort Lauderdale to Havana, including a stop in either Cozumel, Key West or Nassau. American Friendly? Yes. Empress and Majesty of the Seas will comply with people-to-people regulations. What It Is: Seabourn Cruise Line joins Carnival brands Holland America and Carnival in sailing to Cuba in 2019. 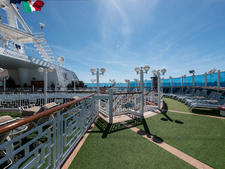 The luxury cruise line will offer a first round of five sailings aboard Seabourn Sojourn, ranging from 11 to 14 nights. Itinerary: Seabourn Sojourn will sail its first Cuba cruise from Miami on November 4, 2019 and will make three other departures from Miami throughout 2019, with one departure from San Juan. Calls include Antilla (Nipe Bay) and Isla de la Juventud, with overnights in Havana, Santiago de Cuba, Cienfuegos. Other stops might include off-the-beaten-path ports in Jamaica, the Cayman islands and the Eastern Caribbean. American Friendly? Yes. 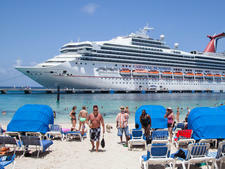 All Carnival Corp. ships will comply with people-to-people regulations. Who Will Like It: Passengers looking for an upscale experience in Cuba, with at least three to four stops per itinerary. Who Won't: Passengers looking for a short, family-oriented cruise that calls for a quick night in Havana. What It Is: Known for its land tours and river cruises, Tauck is expanding its focus on small ship cruising, with Cuba being a central part of its strategy. Beginning in December 2018 and into 2019, Tauck will charter Le Ponant for 10-day journeys around the island. American Friendly? Yes. Tauck's tour will meet U.S. people-to-people requirements. What It Is: Viking kicked off its maiden voyage to Cuba in December 2017 aboard Viking Sun. The premium line departs from Miami and spends eight days exploring Cuba and the region, with two guided tours included in the cruise fare. Itinerary: After cruising through the Gulf of Mexico, Viking's Cultural Cuba sailing, onboard 930-passenger Viking Star, spends an amazing three days in Cienfuegos with one day in Santiago de Cuba. Interestingly, the line doesn't call on Havana, but offers it as one of the optional shore excursions. In 2018, Viking only has sailings planned for November, while the only dates appearing for 2019 include January and February. American Friendly? Yes, Viking markets to Americans and complies with people-to-people requirements. 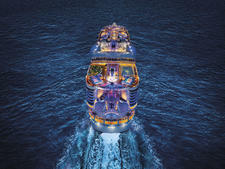 Who Will Like It: Laidback cruisers who value a comfortable onboard atmosphere and not a lot of port calls. Who Won't: Anyone who will be disappointed that the ship does not dock directly in Havana, instead requiring you to book an excursion by land. What It Is: Virgin Voyages is launching its first ship, Scarlet Lady, in 2020. While details are still scant, it has been announces that the inaugural season will include calls to Cuba. Virgin Atlantic has been visiting Havana for more than a decade. Itinerary: Details have not yet been made available, but all Cuba sailings from Miami will feature an overnight stay in Havana when the line debuts in 2020. American Friendly? Yes, Virgin is courting an American audience; compliant shore experiences are in development; details will be made available later in 2019.
Who Will Like It: Cruisers with an edge, who can appreciate a party atmosphere (geared toward adults). Who Won't: Travelers focused strictly on enrichment or looking to spend mulitple days in Cuba.